Michael and Dafna experience gut-wrenching grief when army officials show up at their home to announce the death of their son Jonathan. Michael becomes increasingly frustrated by overzealous mourning relatives and well-meaning army bureaucrats. While his sedated wife rests, Michael spirals into a whirlwind of anger only to experience one of life's unfathomable twists - a twist that can only be rivaled by the surreal military experiences of his son. 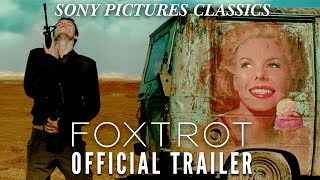 FOXTROT is the winner of eight Ophir Awards (awarded by the Israeli Academy of Film and Television) including Best Picture, Best Director, and Best Actor (Lior Ashkenazi).